The Best Teams Have These Five Things – Does Yours? What kind of team do you have now? Small with great teamwork? Big with less monitoring? What ever your team size are, you must develop your team. There are basic principles to keep your team in high spirit. 1. One goal, one voice, one purposes. You can not have many big purposes in a team, they can distract with it. You must develop it. The purposes must be clear and easy to remember. Also have a specific measurement to achieve. Remember SMART. 2. Effective way and keep it simple. You can have hundreds way but useless if it’s not benefit with customers. Keep the process simple to reduce unnecessary effort from your team. 3. Trust. This is the most important principles. Great Leader will gain a great trust from the team. E.g. I bet most of you like traveling, don’t you? Let say, you will go travel to a place that never visit before, with a group of 10 peoples. You are a Leader and also an organizer. Each people have an individual needs and want somethings that very different each others. Now, as a Leader, you must set one purpose. Let say, we will go to Raja Ampat, Indonesia, with low budget, backpacker. Its your purposes? How to do it? You specify needs of each person, create a timeline, planning, and budget. After that, make all team member agree with that. Make you trip journey simple and effective in a limited day and budget. If everything okay, they will put a trust on you in every travel plan, for next destination. You can have a example article, as follow. Some form of teaming comes pretty naturally to most species. Lionesses hunt in prides; elephants operate in family units to protect each other, find food and nurture their young; fish cooperate to hunt across species (I just found this out – pretty fascinating). Of course, humans team, too, and have always done so, in a whole variety of ways. But our team results are a lot messier and less consistent than those of animal teams. This is probably because our motivations for teaming are generally a lot more complex and less clear-cut than those of our animal counterparts, and our impulse to team tends to be driven more by conscious choice or organizational mandate than by instinct or hunger. About 20 years ago, we (my colleagues and I at Proteus) noticed our client companies beginning to flatten out and speed up, and we watched as hierarchies began to soften and teams started to become a more common way to organize around work. As this evolution progressed, we noticed that some teams seemed to work very well, providing a great way to get people working together toward common objectives. We also noticed that some teams were just OK – that they were neither a lot better nor a lot worse than the command-and-control structures that had preceded them. And finally, we saw that some teams were just awful: rather than speeding things up, they slowed them down, and working on these teams was a frustrating, confusing and demoralizing experience for those involved. Hoping to support our clients to make these terrible teams better — and to make their OK or good teams great — we did some informal research to see what high-performing teams might have in common. We looked at great teams (great in terms both of getting results and of the team members’ reported experience of them) in corporations, in non-profit organizations, in sports – we even talked to the members of an emergency medical response team. And we found tremendous consistency across all these areas: each of these excellent teams had five common characteristics. We’ve been using the High Performance Teams model that evolved from this research for about 15 years now, and it seems to be a useful framework for our clients, so I thought I’d share it with you, and provide a little insight into each of the five elements. On high-performing teams, everyone shares the same understanding about what the team is trying to accomplish – and those goals are important to everyone on the team. You can tell when a team’s goals are clear and compelling, because team members are genuinely enthusiastic about them, and the goals are “baked in” to everyday conversation and decision-making. Lower-performing teams tend to lack clear goals, or they have goals, but nobody really cares or talks about them. Sometimes, poor teams actually have conflicting goals – some people are working toward goals that, if achieved, would get in the way of others’ goals. For example, I was recently talking with an executive who realized that one member of her team was being incented for making deals that would take revenue away from the deals another team member was being incented to make. If you’re managing a team, or have influence with the person who is, make sure that the team’s goals are clearly and explicitly stated and that they’re meaningful (and aligned) for everyone on the team. And if the goals change – be sure to let people know that, too. A client of mine has just been given a big new job, and when I asked him how his boss (the CEO) was defining the role, he said, “He hasn’t really been clear about that. He doesn’t believe in role descriptions – he thinks they’re cumbersome and unnecessary.” I couldn’t disagree more: teams where people’s roles are murky tend to perform poorly. Badly defined (or undefined) team roles lead to redundancy of effort, turf-grabbing, balls being dropped, and a lot of time being spent defending having done or not done things (e.g. : “You were supposed to do that.” “No way, you were supposed to do that.” ”I didn’t do it because…” etc.). On high-performing teams, each person’s core responsibilities – the key things he or she is accountable for accomplishing – are clear to everyone on the team, and everyone sees how doing those things is going to contribute to achieving the goals. Even more important, on great teams, everyone accepts everyone else’s role, and puts full attention into completing their own role – rather than complaining about what others are or aren’t doing. In high-performing teams, there’s agreement on what’s being measured and why: every team member knows the key metrics, and how they indicate movement toward the goals. 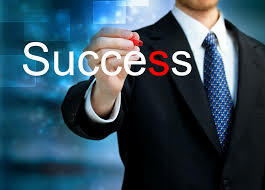 For example, if a good sales team has decided that one of their key goals is to increase sales in a particular market, everyone will be regularly looking closely at the numbers indicating new sales to that market. And they’ll hold themselves accountable to that measure – if sales aren’t increasing, they won’t make excuses or blame each other, they’ll focus on figuring out what to do about it. Poor teams, by contrast, often don’t have measures of success even if they have goals. I remember, many years ago, my boss, the president of a training company, had told me that he was going to make open-to-the-public workshops a big part of our offer. I asked him how we were going to measure the profitability of those workshops. He looked confused for a minute, and then said, “Oh, I don’t think that’s possible – there are way too many variables.” Not having measures makes it really hard to know whether you’re achieving your goals. We believe this is the most important of the five elements. Trust on a team works as a lubricant: if you have trust, it’s easier to get everything else to work better. And, conversely, if people don’t trust each other, even putting the other four elements in place isn’t going to make things work smoothly. Over the years, we’ve found that Stephen M. R. Covey’s Speed of Trust model is a great way to talk about and evaluate trust on teams. If you’re not familiar with it, Covey proposes that when we trust people at work, we trust their character (that they have integrity and are well-intentioned) and their competence (that they have the capability to do their job and that they will get results). Very low-trust teams are difficult to improve – because if team members are dismissing their colleagues as lacking in character or competence, it’s hard to have the honest conversations needed to build trust – or to improve any of the the other elements. On high-performance teams, people not only trust each others’ character and competence – when they have a problem with each other, they assume positive intent and take steps to resolve their misunderstanding or disagreement. If your team members are even moderately trusting of each other, you can build team trust significantly by simply responding to problems in that way. I’ve written another post here on Forbes about assuming positive intent – it’s a powerful tool for building trust. So, let’s say your team doesn’t have these characteristics. If you’re the one in charge, you now have some ideas about what to do about it. If you’re not in charge, and you don’t think the person leading the team is going to be open to improving in these areas…you’re probably not having a great time, and you might want to start looking for a different team. But if your team scores well on these five characteristics – congratulations. You’re probably having fun and getting good results; experiencing what a great team is meant to be. Take a minute every once in awhile to feel grateful – and keep working to make it even better. This entry was posted in Business Strategy and tagged 2015, Bing, Business, Google, Yahoo. Bookmark the permalink.